Trust Express Hauling for your junk removal job, we have been servicing San Diego home owners and renters for over 20 years. 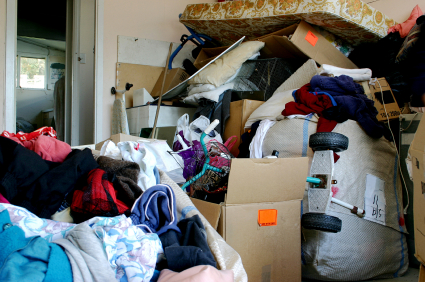 Common items we haul away include furniture, construction debris, appliances, old lumber, fencing, boxes, and anything else you can find in a residential, commercial, or rental property. Business junk removal can be a bit tricky, often involving elevators or stairs. Our crews are well equipped with flat-bed rollers, dollies and hand trucks. We work quietly so that we do not to disturb customers or employees, and our equipment is small enough to get in and out of small spaces and hallways. 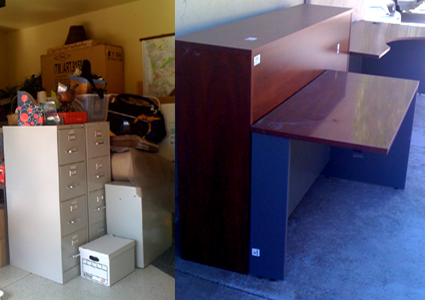 We are experts at removing unwanted office furniture, retail hardware, counters and furniture and any other types of trash or junk you need hauled away from your business. Our crews dress professionally, with our Express Hauling shirts and hats, and give you a complete estimate of the work to be done before we begin. 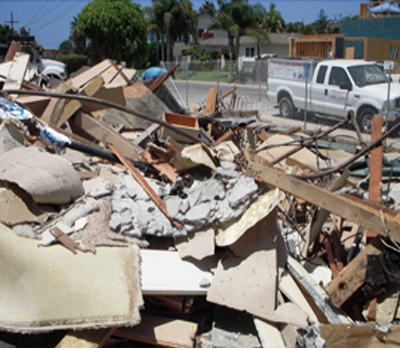 Local San Diego contractors who need construction debris haul away from construction sites, often rely on Express Hauling. We’re equipped for any size job, and just about any type of material. Whether you’re removing landscaping, roofing, gutters or any other materials from your project, you know that you can count on Express to get the job done! Don’t take chances with junk removal companies who show up in small trucks, with no Bobcat’s and then charge extra high prices. Express Hauling has been servicing the construction industry in San Diego for more than 20 years, we have a great reputation, big crews and can usually come the same day you call.